We are enjoying our Spring Break here in Colorado. I consider them my reward for surviving the snow! LOL! I am really loving the window look! 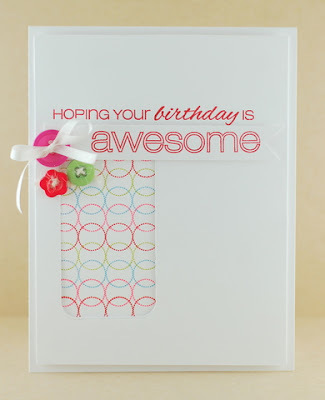 How cool does that circle pattern from Amazeballs look stamped in multiple colors? And how about that "awesome" sentiment from Rad? Be sure to leave Lynn some love here. Be sure to come back tomorrow!! with a chance for prizes!!!! Very cool! 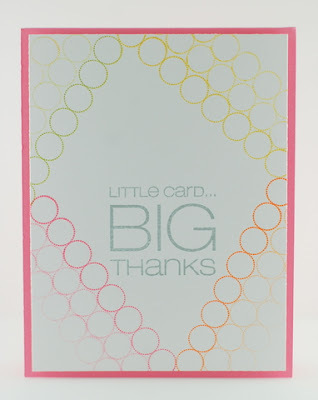 I really like the overlapping circles on the first card and the way the circles were used to create a frame on the second card!